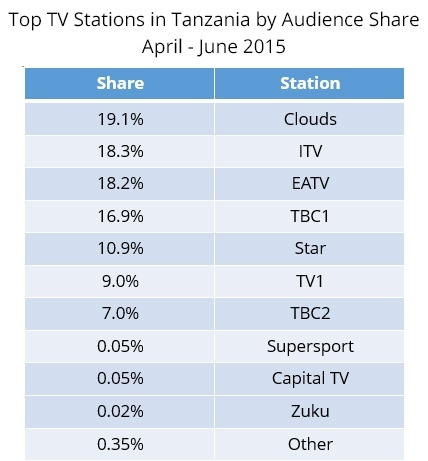 Using the daily data collected through GeoPoll’s Media Measurement Service, GeoPoll has analyzed the top TV stations in Tanzania for Q2 April 1st – June 30th. 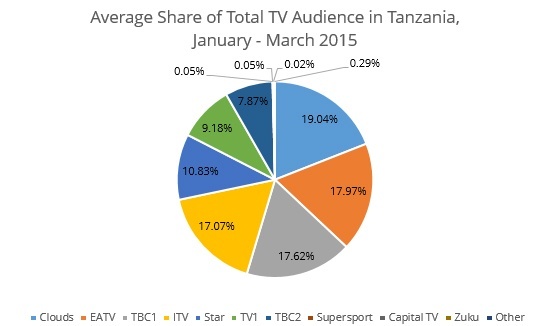 We examined both tv ratings* and share** for the top stations in Tanzania. 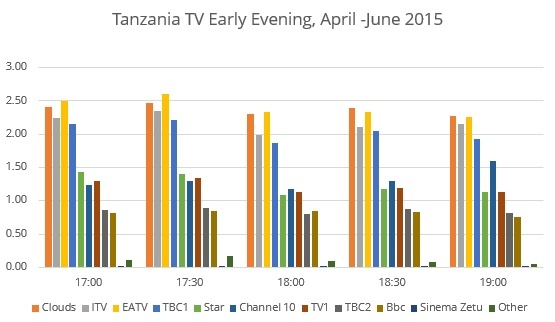 The below chart shows the average ratings for the top 10 stations during prime time from 19:00 (7pm) to 22:00. In Q2, ITV had the highest ratings between 20:00 and 20:30 on average. 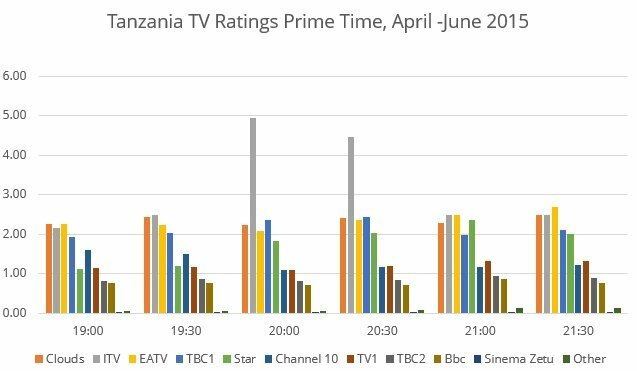 During this time, ITV airs their nightly news show, “Habari”, which translates to “news” in Swahili, while Star TV and TBC1 had slight peaks between 19:30 and 20:30. EATV also experienced a small peak between 20:30 and 21:30.